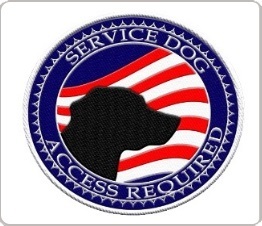 WORKING SERVICE DOG PROUDLY OFFERS SERVICE DOG VESTS, SERVICE DOG CERTIFICATES, SERVICE DOG REGISTRATION KITS, SERVICE DOG TAGS AND ID BADGES. A Service Dog Vest, although not a requirement in accordance with the Americans with Disabilities Act, is the very first form of identification to show the public that your dog is not a pet but is in fact a working service dog. Service Animals come in all shapes and sizes, you can find a service dog vest at WorkingServiceDog.com to fit any sized dog. These vests are high quality and comfortable for your dog to wear. Only the highest-quality materials are used; we are a direct to consumer manufacturer of all our service dog vests and animal support dog vests. Our dog vests are available in durable padded materials that won’t hinder your dog’s movements or ability to assist you. 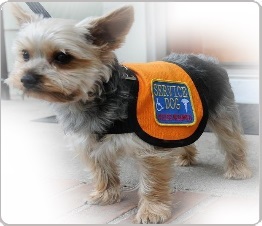 We also offer service dog in training vests in lightweight cotton materials as well as breathable mesh. Adjustable straps make it easy for dogs of any size to wear our dog vests. 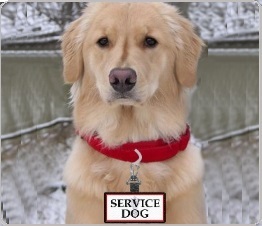 We offer vests with ID Badge holders which make it easier to identify your Service Animal. All of our vests include at least one patch. 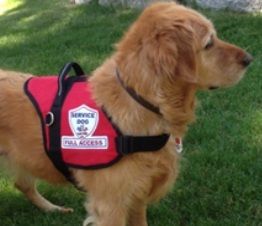 We offer over 30 Emotional Support Animal and Service Dog patch choices. We offer many patriotic patches as well as patriotic badges. We are dedicated to offering products for any size Service Dog. WorkingServiceDog.com offers Service Dog certification. 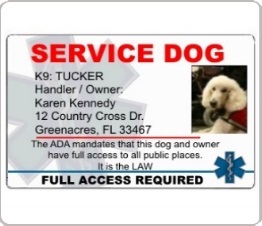 Although it is not a requirement to register a Service Animal many people are finding that having a Service Dog certificate as well as other forms of identification are less likely to be confronted in public places. We offer free service dog registration with a purchase of one of our Service Dog certificates. Our Service Dog Certificates are professionally printed and come in a heavy stock personalized folder and also include a free service dog registration number. 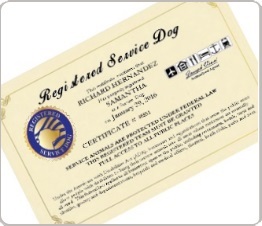 In addition we offer Service Animal certificates in digital form. 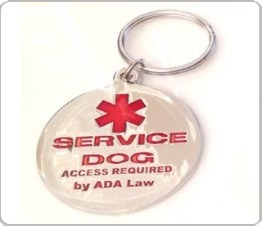 Registered Service Dog tags and ID badges are also available. 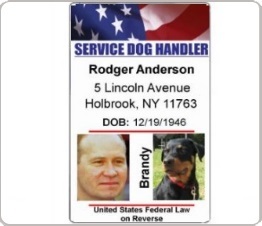 Our Service Animal ID Badges are customized the handlers information as well as an optional photo of your dog. Our Service Dog tags is made of a heavy weight PVC. We also offer a full line of Service Dog in Training products. All badges are offered with an optional digital copy. We offer high quality Service Dog kits. Our products are discounted when combined in a kit. 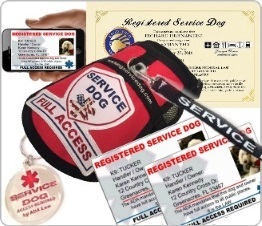 Our Premium Service Dog kit includes a high quality dog vest, a tag, two Service Animal ID cards that are customized with your animals information, a Service Dog certificate, digital dog tags and a Service Animal leash.